Tess Gerritsen is 2 for 2. I loved the second installment of the Rizzoli and Isles series just as much as the first book, The Surgeon. In the 2nd book, we actually get to meet Isles (described much differently than she appears on the TV show). In addition to the introduction of this new, vital character, we get to revisit an old foe and watch the showdown with the new villain, equally as evil. 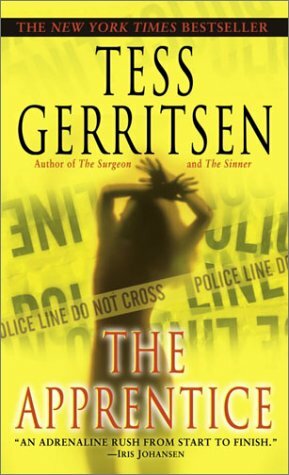 Once again, Gerritsen keeps the mystery alive without getting cheesy and keeps the twists and turns very real and very steady. There were multiple moments throughout the book where I was convinced something specific would happen, but then it didn’t at all. I find that this is rarely the case in most commercially successful mystery/suspense tales, whether they be book, television, or movie. I am definitely, definitely, definitely going to continue reading the series and look forward to learning more about the established main characters, hating the bad guys, and reveling in my confusion and surprise with each novel. Once again, I highly recommend both the series and the author.